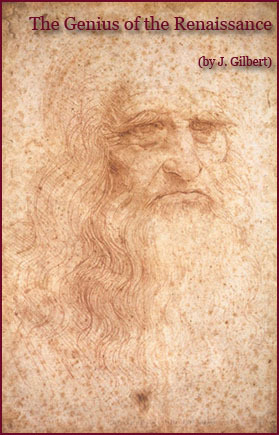 Leonardo, who was received in Milan as cultural ambassador of the Signory of Florence, sent Duke Ludovico a letter of introduction that listed his abilities and his extraordinary range of interests. The dukedom was going through a period of expansion and appeared to offer him opportunities he could not realize in Florence. Skilled in the crafts of peace and war, he enumerated ten points that qualified him as an engineer of war machinery and a technical adviser: a builder of "very light and strong" bridges, "cannon, mortars, and light ordnance, of very beautiful and useful shapes, quite different from those in common use", "armored cars, safe and unassailable". He only casually mentioned his artistic talents "in the construction of buildings both public and private", painting and "sculpture in marble, bronze, or clay". The letter concluded by offering to build the equestrian monument to the head of the "illustrious house of Sforza", Francesco. 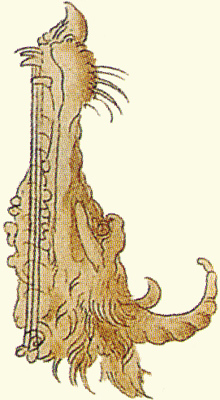 Leonardo da Vinci, Lute Made from a Horse's Skull, Manuscript B, Institut de France, Paris. 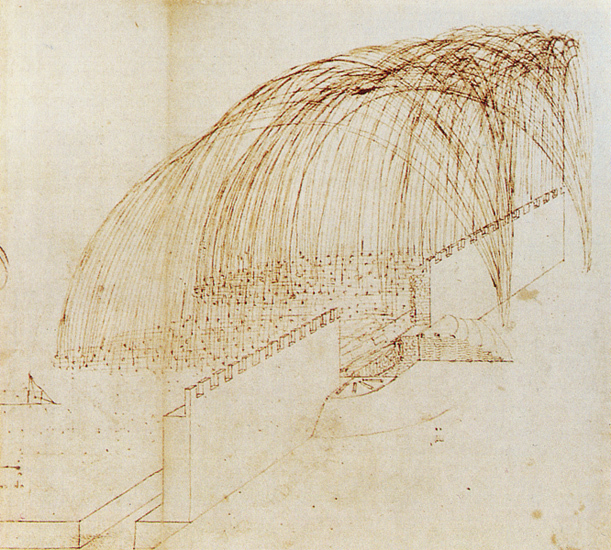 Leonardo da Vinci, Rain of Cannonballs, Codice Atlantico, Biblioteca Ambrosiana, Milan. 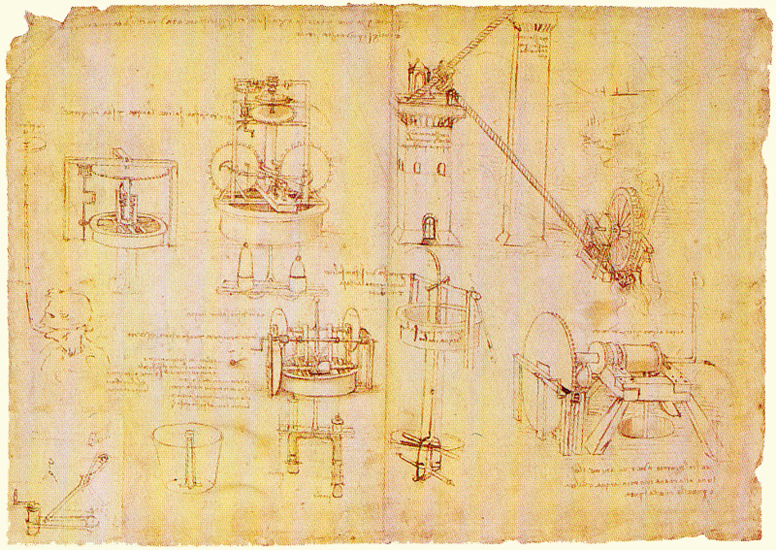 Leonardo da Vinci, Study of Hydraulic Instruments, c.1482, Codice Atlantico, Biblioteca Ambrosiana, Milan. - covers forty years' work on mechanics, mathematics, astronomy, physical geography, botany, chemistry, and anatomy.